Little Donny Trump loves his Noisy Little Birds, but their missing manners are distracting America, big time! Follow Little Donny through his day as he meets up with friends, skips security briefings and tweets up a storm. 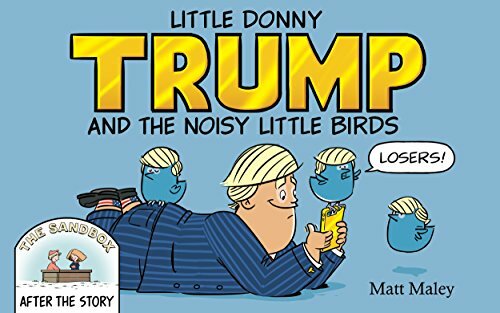 This is the second 'Little Donny' SATIRICAL children's book by artist/writer Matt Maley. Be sure to read the bonus story "The Sandbox" after Little Donny.